By Sia in Internet. October 20, 2016 . On the 27th of October, Apple will be hosting its “Hello Again” event, where the company is expected to announce the new generation of Macs. The last time Apple held an event that was focused solely on Macs was back in March 2015. Since then, Mac-related news was relegated to press releases and small-scale private meetings. The announcement of a Mac-centric event may indicate that Apple will be bringing some huge changes to the company’s computer line, and judging from the rumours and leaks that we’ve heard so far, the Mac may be receiving a huge refresh across the board. Let me break down the rumoured features that will be coming to the MacBook Pro, the MacBook Air and the regular iMac as well. Seeing as much of the rumours are related to the MacBook Pro, let’s start with Apple’s flagship laptops. In terms of design, both the 13-inch and 15-inch MacBook Pro will be thinner and lighter, with the bezels and the overall frame of the device stated to be smaller than the current MacBook Pro. Information about the MacBook Pro’s specifications are scarce, but it is said that the laptop will be powered by Intel’s Skylake processors. Of course, last minute changes could be made so that it runs on Kaby Lake processors instead. Continuing the trend that first began with the omission of a headphone jack on the iPhone 7, Apple is said to have dropped the USB 3.0 and Magsafe ports from the MacBook Pro, meaning that the new laptops will come with USB Type C and Thunderbolt 3 ports only. Thankfully, there will be multiple ports on the laptop, so cable rationing is unnecessary. The MacBook Pro will also be getting two new features. The first is the much talked about OLED display located above the keyboard, which is stated to function as a touchscreen, thereby replacing the physical function keys found on the laptop. The second is a Touch ID sensor that would allow the user to unlock the MacBook Pro via biometrics instead of a password. While the MacBook Pro line is getting some very swanky updates, things don’t look quite as promising for the MacBook Air. Rumours are going around that Apple will be discontinuing the 11-inch variant of the MacBook Air in favour of the existing 12-inch MacBook. Apple is expected to reveal an updated 13-inch MacBook Air during the event, but actual information about the nature of this update remains scarce. If one were to take a guess, I’d probably say that the MacBook Air will receive a hardware update, as well as the removal of USB 3.0 and MagSafe ports. AMD may be a huge presence for Apple’s iMac line this year as rumours are going around that AMD graphics chips will be present on the updated iMacs. Aside from that, Apple may also debut a 5K Retina display with an integrated GPU during the event. The discontinuation of the Thunderbolt Display earlier this year means that we may also be seeing a new display. Apple has been reportedly working with LG to develop a new 5K screen, so that monitor could make its debut at the event. Noticeably missing from the rumour mill are the MacBook, the Mac Pro and the Mac mini. With the MacBook, the lack of information regarding an updated version is understandable, as that particular laptop model received a refresh back in April, as well as a new colour – Rose Gold. For the Mac Pro and Mac mini though, things are a little more concerning. Both the Mac Pro and Mac mini was last updated back in 2013 and 2014 respectively, and no information has leaked surrounding these two products. It could be possible that Apple plans to introduce a small amount of updates to keep them relevant, but it is more likely that Apple is hoping to phase them out naturally. Overall, Apple’s Mac event could potentially be a huge one for those looking to replace or purchase a new MacBook. If you’re looking to get a new Mac sometime soon, I’d advise you to do so after the event is over. 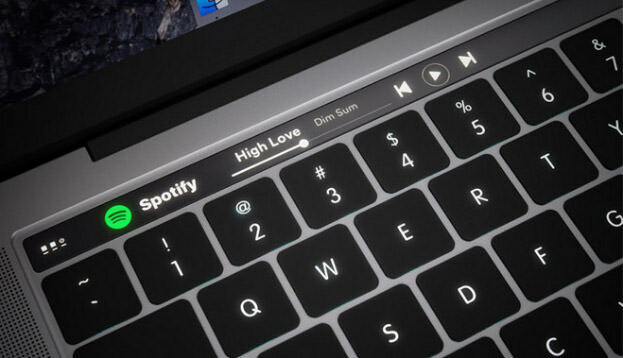 At best, you’ll be able to get a new updated Mac with shiny new features. If none of the new Macs appeal to you, at the very least, the pre-existing Macs will be receiving some decent discounts.